Your careers website is likely to be the first place that a job seeker will be exposed to your employer brand. But the demands of a job seeker are increasing all the time. They are no longer interested in simply finding a job, they are looking to your website to give them an insight into what it is actually like to work for you. 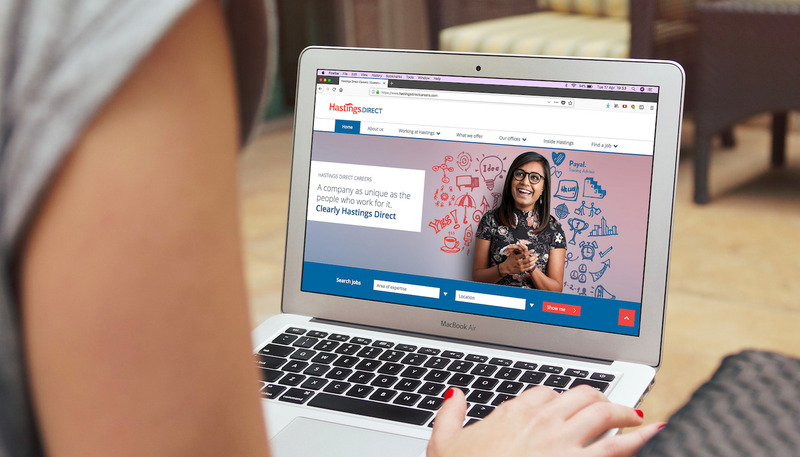 To offer more than a job search engine and online application form, but also information around your culture, values, rewards and benefits, training and development – in fact anything that positions you as an employer of choice. Develop your careers website to be as visible to the search engines as possible. Good coding practice, URL structure, breadcrumb navigation, page titles, metadata and image alt tags will all play a part in the cataloguing and positioning of your website. Key to increasing the direct traffic to your website is an address (URL) that is easy to relate and recall. Take into account how the site will render within a desktop, tablet and smartphone browser. Ensure that whatever the device the site is viewed on, the experience will be as rich as possible. Produce a careers website design that is unique to your company and has a clear focus on employee engagement and recruitment, yet still adheres to your brand guidelines. Make sure that anyone visiting the site will have a lasting memory of their experience – and be able to clearly articulate it to another job seeker. Only approach the content, architecture and the design of the site once you have the agreed objectives of the website clear in your mind, as each of these aspects will influence the next and all will help shape the candidate journey. Use engaging design, clearly structured and logical navigation and compelling content to ensure that the visitor gets out of the visit exactly what they came for. Attempt to ‘show’ the visitor – and not ‘tell’ them – why they should come and work for you. So where possible break up paragraphs of copy with anything that can help bring the culture of your company to life – imagery, interactive elements and, of course, film. Film is an incredibly effective way of delivering key content, be it messages from the senior management, profiles of current employees or even testimonials from customers. Even more successful than ‘showing’ the visitor why they should come and work for you, is to let them find out for themselves. Allow the visitor to interact with the website. Using features such as self-selection tools, office tours, interactive career paths, etc. will encourage the user to stay longer on the website and gain a deeper insight into the nature of the roles, the working environment and possible career development available. Sometimes your roles may be difficult to articulate by simply using words on a page. Short films will enable you not only to position the day-to-day tasks involved in the role but also the training, support and rewards that come from doing it with your company. The best people to ‘sell’ your organisation are those who already work for you. Give them a platform to do it. We recommend adding a publishing platform (or blog) that the recruitment team can keep updated, adding interesting ‘work for us’ articles as and when appropriate. Articles that could revolve around individual employee stories, department or team news or corporate responsibility stories (such as charity events), in fact anything that would give the visitor a deeper insight into your culture. The blog section of the careers website is your main publishing platform. If your content is good, people will want to share it – so offer them the sharing tools to do just that. But also look at how you can bring in the fantastic content from your social media feeds into your site, making it more social, dynamic and interesting to visitors. And Google. Develop your careers website in a way that people with and without disabilities can perceive, understand, navigate and interact with. Don’t hide content away. Ensure that people with screen readers can use it. And make sure that Google can index it. By following these guiding principles we believe that you should be able to deliver a website with the impact, user experience, content and functionality that a modern job seeker would expect. A good solid foundation and platform to build upon and start articulating what makes your company a unique employer through the introduction of more creative, interactive and engaging features.